Vwaza Marsh Wildlife Reserve covers an area of 986 square kilometers. It is a highly attractive place to anybody who likes wildlife. 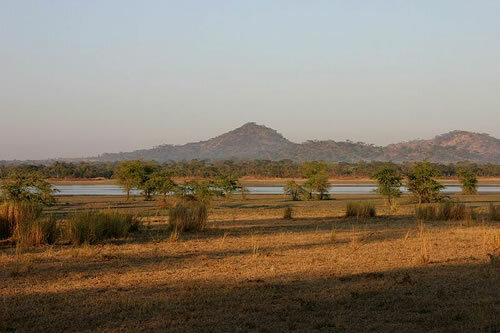 There is a wonderful mix of vegetation around Kazuni lake in Vwaza, brachystegia forest and thin mopane woodland and marsh. It is this rich variation in habitat that attracts such a splendid range of birdlife, about 270 species. Large mammals like elephant,hippos and species ofantelope should be seen on a short visit in the dry season. Buffalo are also often spotted. Lukwe Ecocamp has much more information, we organise an occasional excursion to Vwaza. Lukwe - Kazuni 100 kilometers. It's quite possible to cycle this stretch in one day in the dry season via the back road to Rumphi.